The theatre artist behind Chautauqua at High Performance Rodeo says drag allows her to get close to her audience, pushing boundaries and gaining mainstream acceptance. “Drag lets me lean in close. 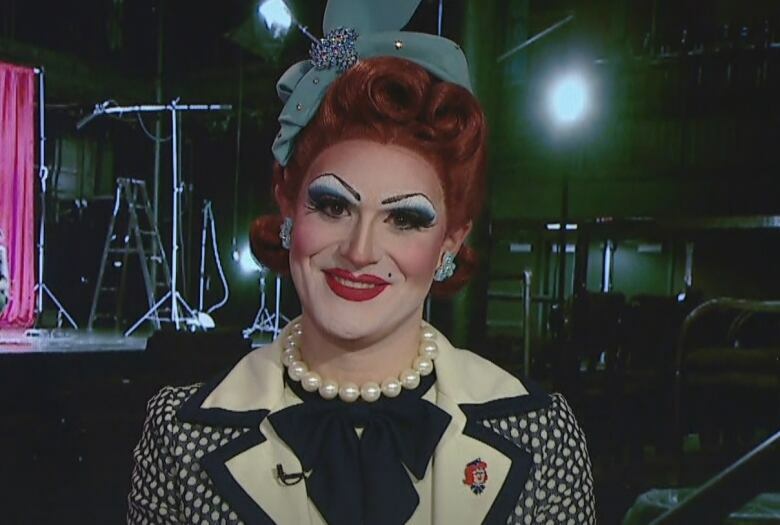 Drag lets me get very, very intimate with people, because when you are wearing something sparkly and all this makeup and some really fabulous hair, people let you get away with a lot more,” Pearle Harbour told CBC Calgary News at 11. Harbour’s Chautauqua has been touring for about a year-and-a-half, with the 50th performance happening during Calgary’s 33rd High Performance Rodeo. “Chautauqua is the name of an old revivalist movement that I have co-opted for my own drag purposes. Chautauqua was the most American thing about America at the turn of the century, the last century, the 1900s or so,” Harbour said. She employs many techniques to achieve this. Harbour says drag performances and performers have, in recent years, pushed the envelope, gaining acceptance outside of their traditional audiences and venues. “We are in a really exciting time where drag has been elevated to a new level of mainstream appreciation. Drag as an art form is as vast an art form as something like painting. We don’t think of Andy Warhol and Caravaggio in the same way. Same goes for drag,” Harbour said. High Performance Rodeo runs until Jan. 27. Chautauqua has five shows, Jan. 10-12. Here’s the schedule. With files from CBC Calgary News at 11.